• Draw your route and watch it snap to roads and trails. 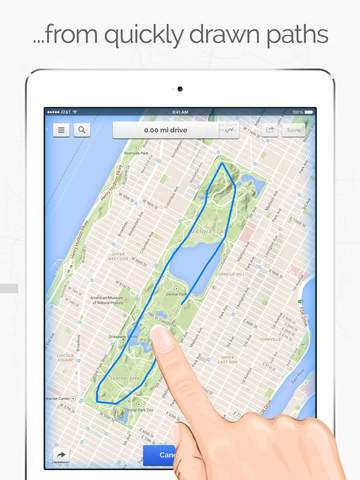 • Press and hold on the map to automatically calculate routes between points. • No roads or trails nearby? No problem, just zoom in and draw your routes free-form by tapping the magnet. 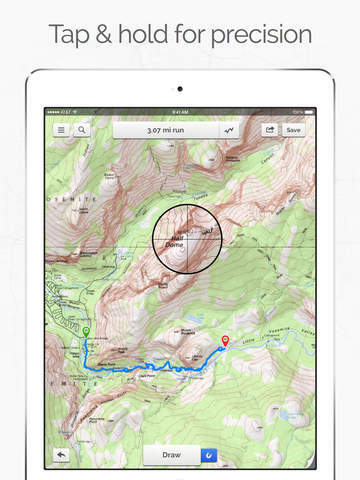 • View elevation profiles for your routes to gauge difficulty. • Share your routes via email, Facebook, Twitter, Path, and Instagram. • Try switching to driving mode to ignore trails & footpaths or to use highways. Perfect for road trips. Hit the road and forget about GPS. Your mobile device must have at least 6.41 MB of space to download and install Footpath Route Planner & Running Maps app. 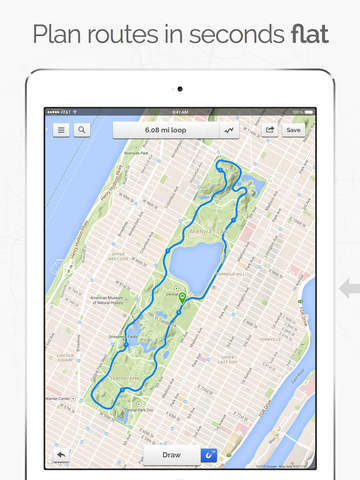 Footpath Route Planner & Running Maps is FREE to download. Hurry up to get this app for free! If you have any problems with installation or in-app purchase, found bugs, questions, comments about this application, you can visit the official website of Eric Wolfe at http://footpathapp.com.